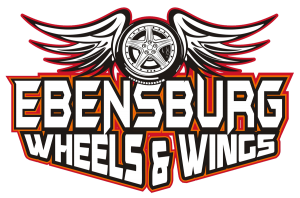 The 14th annual Wheels & Wings is coming to Ebensburg June 21st! The event held in conjunction with Johnstown’s Thunder in the Valley motorcycle rally has become one of the can’t miss events of the weekend. It features good eats and live entertainment, along with a car, truck and motorcycle show. Once again Dauntless Fire Company will be providing cold refreshments for the event. All proceeds from the sales go to supporting the fire company and its essential community functions. Please come out and support your local fire company and enjoy the event. Remember to drink responsibly.